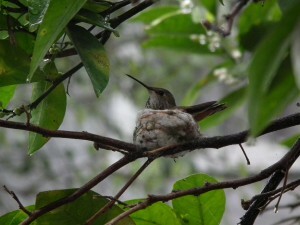 Thursday, February 27th, 2014 Allen’s sitting on her two eggs on a rainy morning. 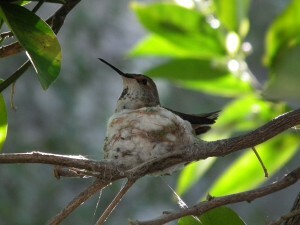 Allen’s Hummingbird now has two eggs as of February 25th, 2014. 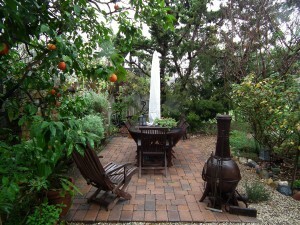 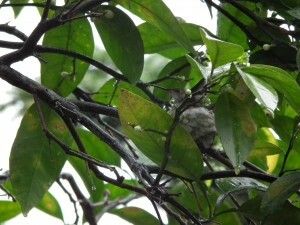 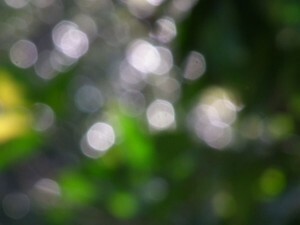 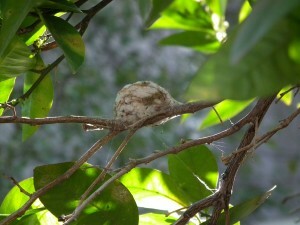 She is nesting in our Tangelo tree. 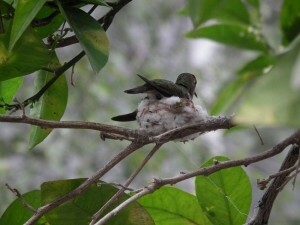 Friday afternoon, February 21st, 2014. 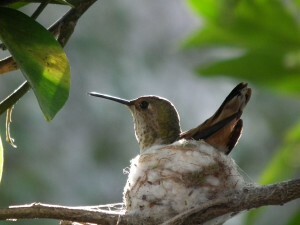 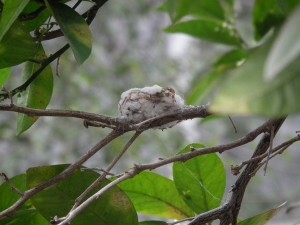 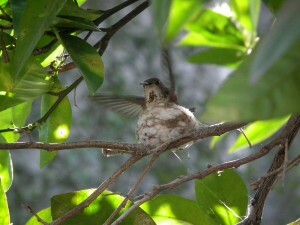 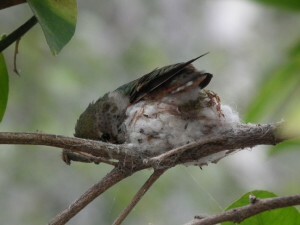 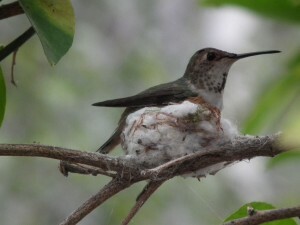 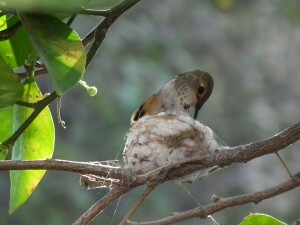 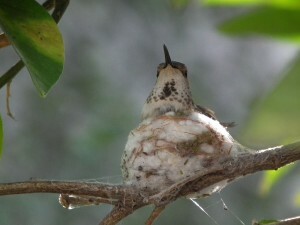 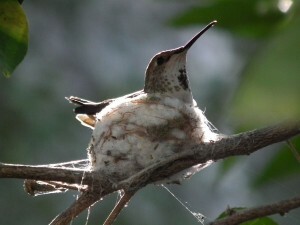 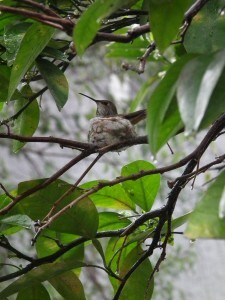 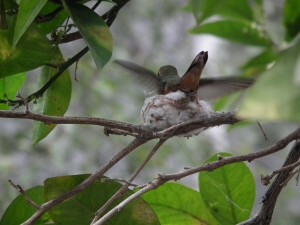 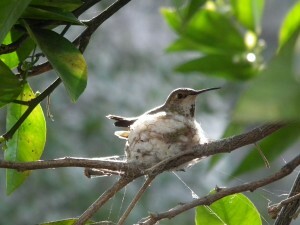 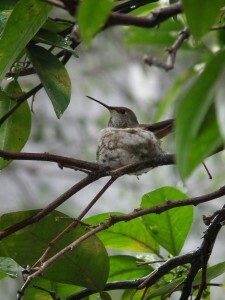 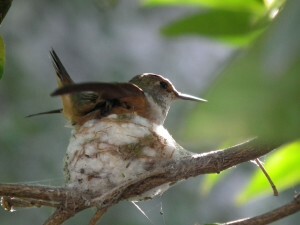 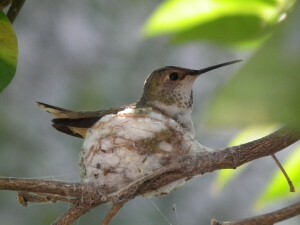 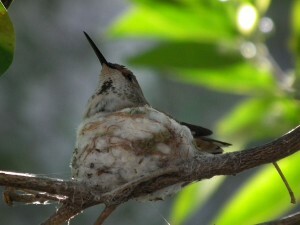 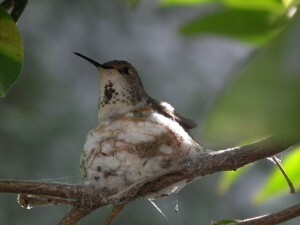 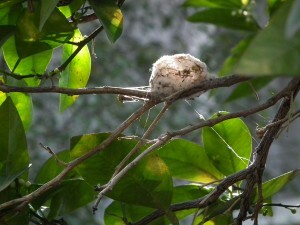 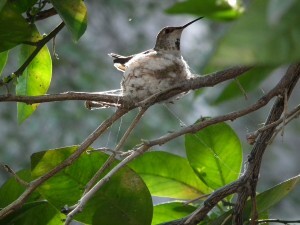 The Allen’s hummingbird is almost done building her nest. 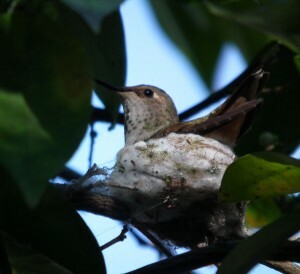 February 19th, 2014. 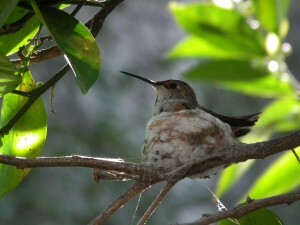 Allen’s hummingbird still at work building her nest.